Bitcoin has been making waves ever since it entered the scene back in 2009. Nowadays, the cryptocurrency has managed to make a solid name for itself as digital currency and quite a few online stores and services have started to accept it. However, Bitcoin found its initial popularity as a way to pay for “grey” services that are on the borderline between legal and illegal. Online gambling was one of these services. While some countries have banned gambling, others have allowed it to continue. Online gamblers come from all over the world though, so this situation can cause problems for some people. This is exactly what Bitcoin can help with. Designed for online transactions independent of geological locations, the cryptocurrency makes it easy to participate in the joys of online gambling. This is just one of the reasons online gamblers should try using Bitcoin. When a person is gambling, they do not want to be interrupted in their playing. This is why Bitcoin being easy-to-use and convenient is important. In the past, online gamblers had to depend on credit cards and a variety of e-wallets for wagering. All of these were based on fiat currencies and required an offline component, usually reloading or payment with a bank. This adds another task for those who use these options. Additionally, credit card usage often follows a lot of rules and regulations. Know-your-customer laws and anti-money laundering regulations can ensure that no crimes or frauds are done, but they also slow down and make online payments and withdrawals slower. Credit card networks also often charge high transactions fees, ranging from three to five percent. This can add up over time and can affect a gambler’s payments and withdrawals. Bitcoin cuts through all of these problems. The cryptocurrency is an anonymous and decentralized currency that is completely online. This means that there are no restrictions and monitoring on any deals and that there is no need for an offline account associated with the account. 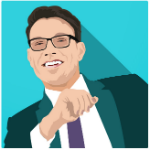 There are also no fees associated with Bitcoin payments nor there are delays. 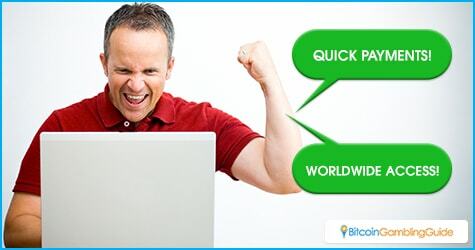 Most Bitcoin deals are resolved within the same day. 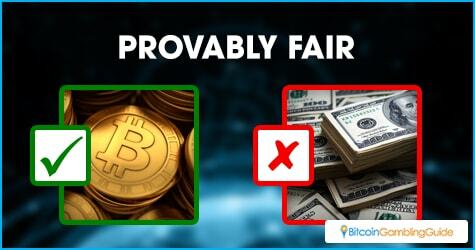 Using Bitcoin is a lot more convenient than using fiat currency with these Bitcoin advantages. Bitcoin also happens to be a well-protected cryptocurrency. Based on high-end cryptography, it would be very difficult to tamper with the public ledger that maintains the network. Data thieves would have a hard time extracting their required info. Bitcoin also happens to have a controlled value. There will only be ever 21 million bitcoins in existence and no more. There will be no way for the Bitcoin to be further created once that limit is reached. Online gamblers can store their bitcoins and not have to worry about their value lowering because of inflation. Overall, Bitcoin usage can only benefit an online gambler in the long run.